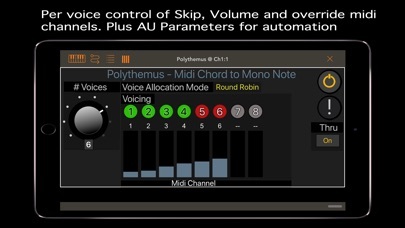 Polythemus turns your midi chords into mono midi channels so you can allocate polyphonic notes (i.e. chords) into different synth patches. Load up multiple mono synths to turn them into one polyphonic synth. Add variation to sequences and arpeggios by varying synth patches slightly or even extremely. 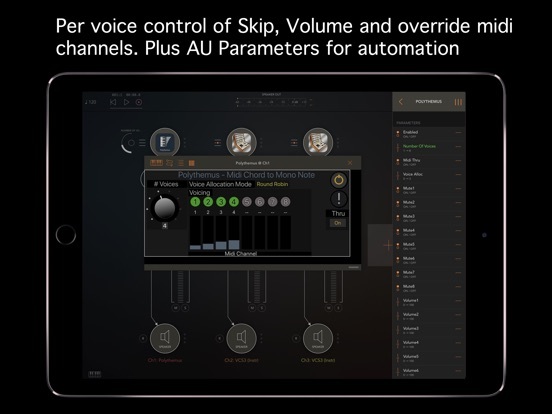 Individual control on number of voices and quick mute/unmute per voice. Midi velocity scaling per voice for volume balancing. 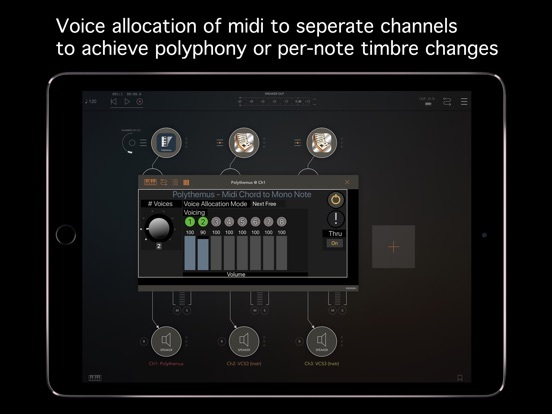 Transpose midi output per voice to allow more compact keyboard playing & voice balancing. 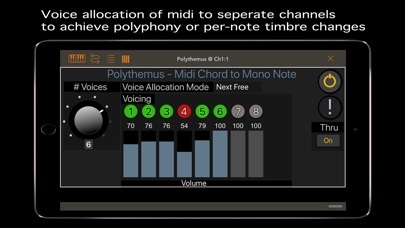 Option to use just one midi output with midi channels for hosts that don't yet support multi-output midi effect apps.